Mike Zahalsky's longtime dream of winning Survivor may actually come true in Season 35. "Dr. Mike" is a 43-year-old urologist from Parkland, FL. He will be competing in Survivor: Heroes vs. Healers vs. Hustlers' finale on Wednesday, December 20 at 8PM ET/PT on CBS, which will be followed by a one-hour live reunion special. 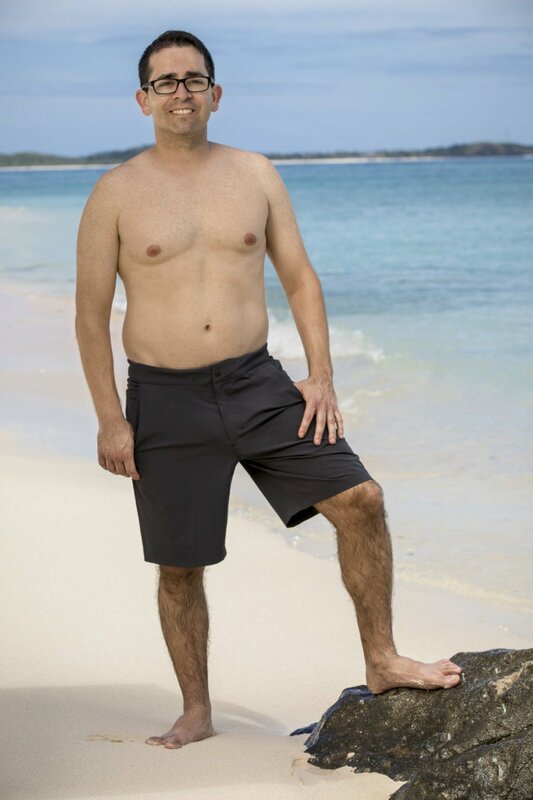 Mike started out the game as a member of the Healers tribe, and he just so happens to be the last Healer left in the game with four other castaways remaining. (Two Heroes and two Hustlers are also still in the running for the $1 million grand prize). Mike was playing in the middle of two pairs as a swing vote, but after Ashley Nolan went home, he's now on the outs with Public Enemy No. 1, Ben Driebergen. Chrissy Hofbeck, Devon Pinto and Ryan Ulrich recently joined forces and solidified a Final 3 alliance, but so much can change in this game in such a short period of time. Curious to learn more about the quirky castaway who has been dubbed unpredictable and untrustworthy, yet still made it to the end? - Mike considers himself smart, strategic, social, intelligent, enthusiastic and determined. - If he could have taken any three items to the island with him, he'd choose a photo of his kids because he loves them, a deck of cards to play with, and an extra pair of underwear. - The castaway's inspiration in life happens to be his wife and children, who inspire him to be a better version of himself every day.